You can now effectively connect your OPSHorizon account on Marketplace to synchronize all your orders. From now on you don’t need to add requests manually to MyHandling app: simply connect your OPSHorizon account and easily order handling from the MarketPlace platform. 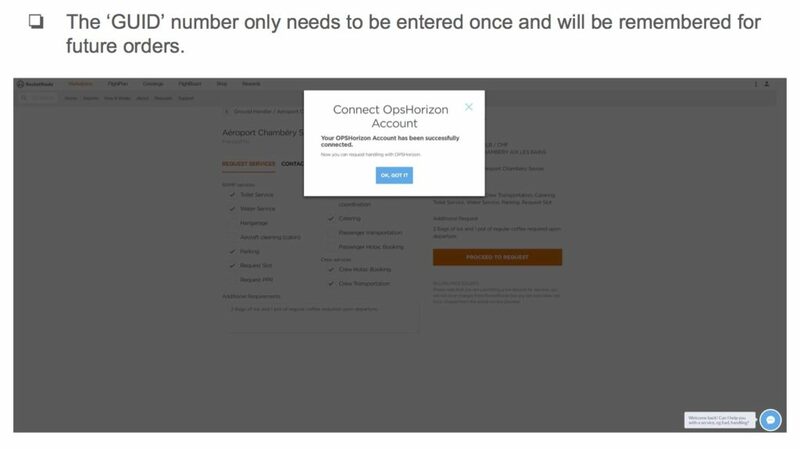 In this article, you will find easy steps on how to connect your account and order services with a service provider using OPSHorizon scheduling. 3. 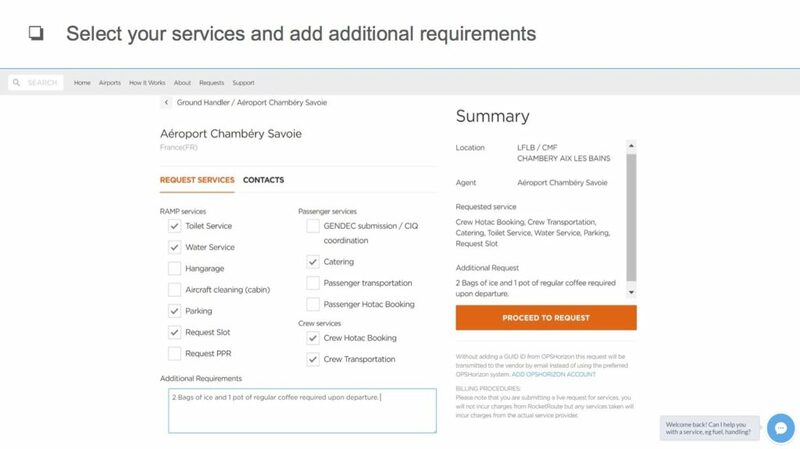 Select services that you need and add additional requirements. MarketPlace users will be invited to add their OpsHorizon ‘GUID’ account number on the Services page of OpsHorizon Vendors if they have not previously added it. 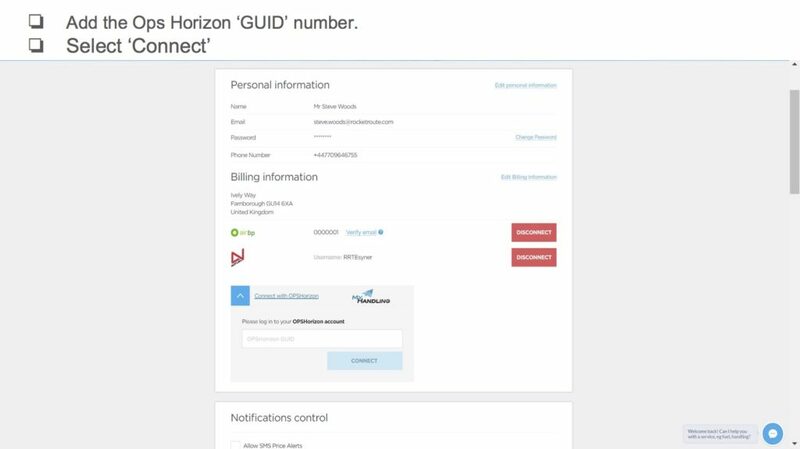 The ‘GUID’ is a unique number that is issued by OPS Horizon to each individual aircraft operator to all vendors to identify each individual users. If a user does not have a ‘GUID’ the MarketPlace will send their orders to the vendor via email. 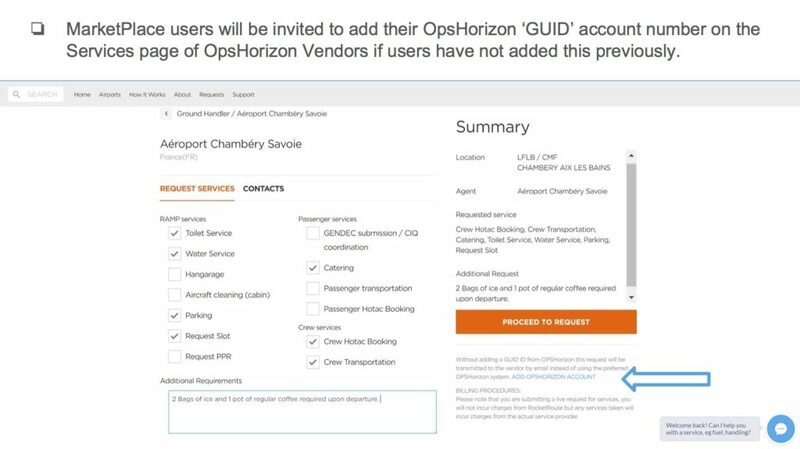 ‘GUIDs’ can be obtained by a user from Ops Horizon directly. The ‘GUID’ number only needs to be entered once and will be remembered for future orders. 4. Select ‘Proceed to request’ to move to the checkout page. 5. Complete Checkout and ‘Send Request’. Alternatively an Ops Horizon ‘GUID’ can be added in the user profile section in MarketPlace Settings. 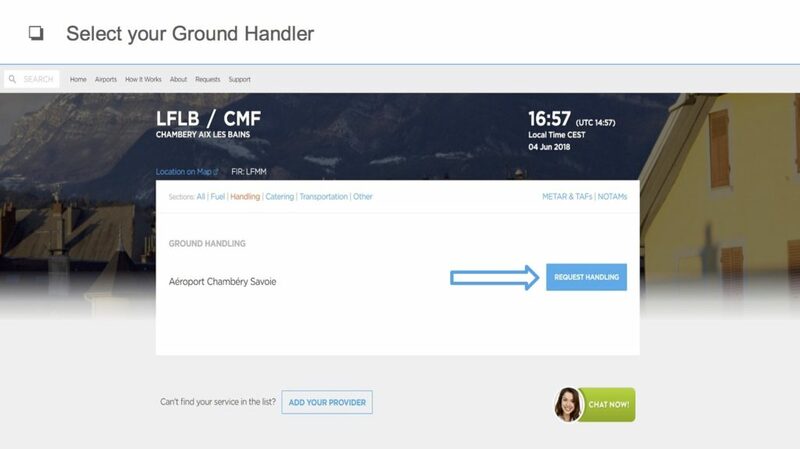 OPS Horizon is the developer of MyHandling FBO Software, a user-friendly, cost-effective business aviation planning and management tool for airports, handlers and FBOs (fixed-base operators). Being integrated with EuroControl, the software provides real-time business insights, and aims to improve profitability and enhance your customer’s experience, to manage costs and policy compliances, such as IS-BAH certification. Today OPS Horizon is in use at 50 airports and FBOs all over Europe. 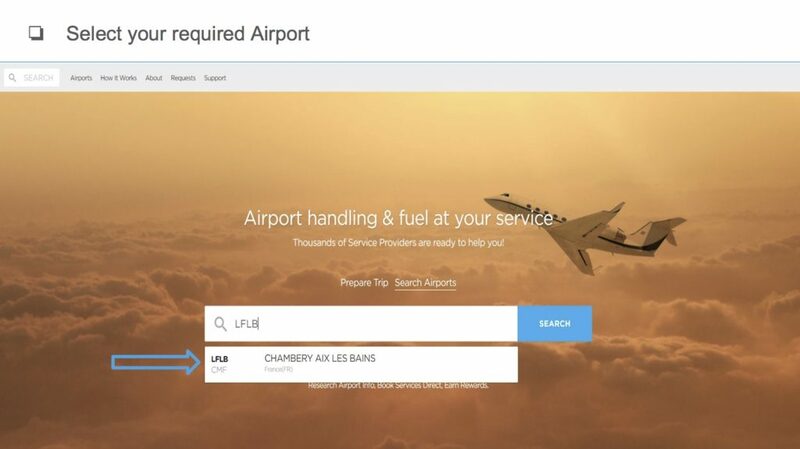 MyHandling FBO Software has free airline interface, used by more than 3,500 airlines worldwide, and is integrated with fifty internal airline systems.